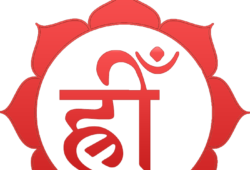 Speakers: Sanjay Rath • Sarbani Rath • Komilla Sutton • William R. Levacy, Ph.D.
Devaguru Bṛhaspati Center announces a new program on Mantra Śāstra titled “Mantra Śāstra Foundation” to be taught by Pt. Sanjay Rath. The Mantra Foundation program is to be taught in the tradition of Puri, India and includes spiritual instructions to develop the mind in order to grasp the entire subject. The student is to develop a strong foundation of mantra śāstra which includes a functional knowledge of Sanskrit alphabets and words that form the root sounds of mantras. The contact course shall be for about 10 days (as required for each year, refer short syllabus) at the Himalayas, India during the month of March every year. Students may not be admitted to subsequent years if they fail to attend the contact course in India. Special allowances can be made for unforeseen circumstances at the discretion of the course director. Wanted to share this good news with you. We have just completed the fifth year of the Jaimini Scholar Program in the Himalayas. One of the debts to the tradition has been paid and we have a number of well trained Jaimini Scholars available for carrying the knowledge forward. The final year started with informal classes on 23rd September, 2011 and has taken till today 30 October 2011, to finish. The classes were head everyday just two Wednesday holidays from 8 am to 6 pm with short tea breaks and lunch break.